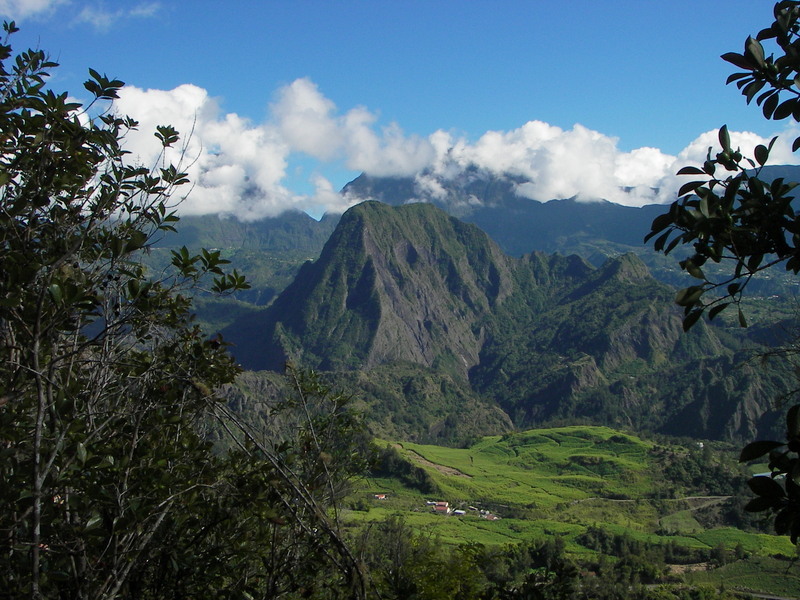 This loop is an exploration of the Piton des Neiges massif, via its three cirques. This volcano, which is no longer active, was carved out and sculptured by massive erosion and a process of collapsing which formed the so-called cirques (amphitheaters) and remparts. Set in a “clover-leaf” shape around the highest summit of the island (3070 m), Mafate, Salazie and Cilaos each enjoy a different atmosphere. 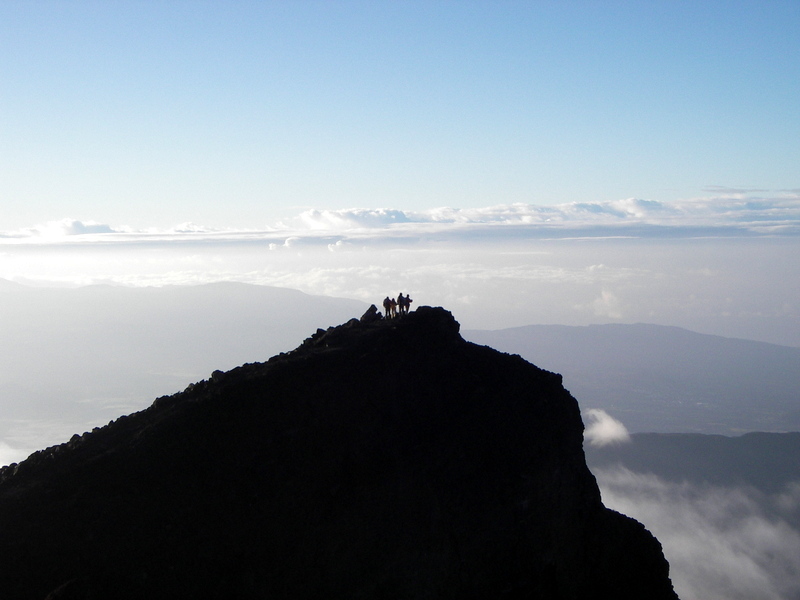 On the last day of the trek, we climb to the summit of the Indian Ocean to admire the island at sunrise. 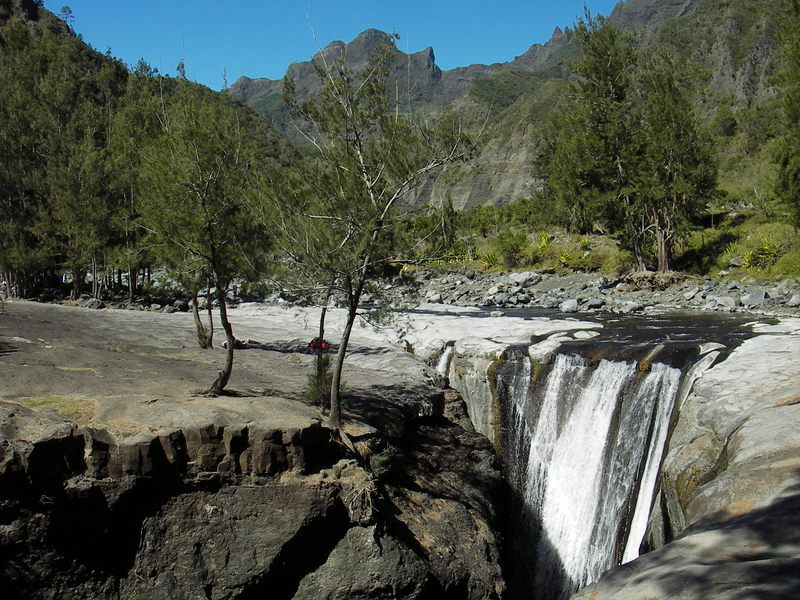 Inhabited heart of Reunion Island National Park, Mafate is the only one of the three cirques where there are no roads, which gives it a distinctive aura... No less than 200 km of hiking trails run across it; a dream for passionned hikers! D3 – In the morning, ascent of the Col de Fourche (pass) on the crest that separates us from the Cirque of Salazie. Crossing of the mysterious Plaine des Tamarins and the Cirque of Salazie, through forests of “bois de couleurs”, filao trees, cattley guavas... We reach Hell Bourg via the ancient thermal baths, that have led to Hell Bourg’s “belle époque”. Dinner and night in a lodge in Hell Bourg. 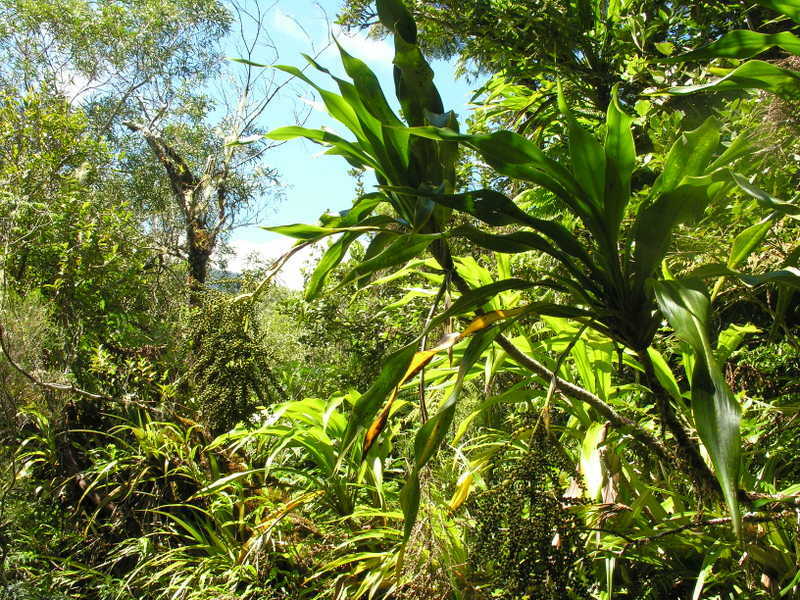 D4 – Early morning, visit of the village before our steep ascent to the Piton des Neiges refuge, through the different types of vegetation: exploited cryptomeria forest, “bois de couleurs des Hauts”, then altitude shrubs. Dinner and night at the Piton des Neiges refuge. D5 – Before sunrise, we climb with head torches to the summit of the Piton des Neiges (3070 m), highest peak of the Indian Ocean. When the sky is clear, we can admire the Cilaos and Salazie cirques until the ocean, and the volcano in the far distance looking south-east. Descent to the refuge then back to Cilaos down the rempart.